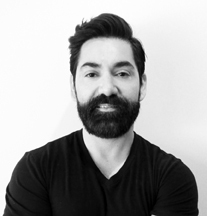 David Michael Garcia opened David Michael Salon in 2005. His passion for hair began with his early days as a punk rock youth, and was further honed by his training as an artist at UT Austin -- developing an obsession for color and aesthetics. After graduation, he attended beauty school and apprenticed with Swiss stylist Alexander Zbinden, learning European styling methods. He also trained with Nick Arrojo of New York, who can be seen on TV's "What Not to Wear." David Michael has more then eleven years of experience, five of which were spend as a highly respected Sebastian Educator and Platform Artist. He continues to receive inspiration for his work from art, travel, music and culture. Nenette has an intuitive understanding of texture and balance and has learned the art of merging design and color into her craft—keeping her clients looking good and feeling amazing. Like fashion, the Art of Styling is always changing. Nenette believes there is always something to learn and someone to learn from. After receiving her business degree from Sam Houston State University, Amy went on to Paul Mitchell The School Houston and that’s where she learned to love the artistry of hair. She prides herself on client satisfaction and has never met a stranger in her life. She loves every aspect of the game from color and cutting to styling and extensions. Although she may seem young, she stays up to date with what’s on trend and clients always leave her chair with a smile on their face.